When you hire our North Bay Village housekeepers, you’ll receive cleaning services that meet your specific needs. Our services are designed to be customized, and we’ll work with you to make sure you’re getting exactly what you need from us. 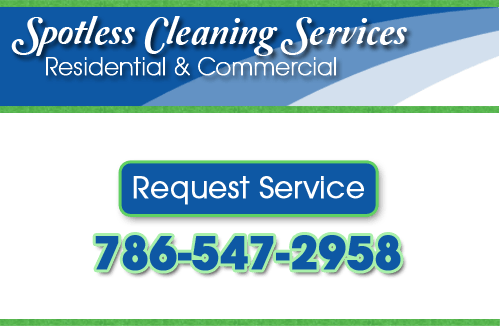 Whether you need a large office building cleaned or a quaint cottage, and regardless of the frequency of the cleanings, we’ll give you a professional clean that will provide you with the comfort and satisfaction you need. And as a part of the North Bay Village community, we take it as a responsibility to make sure we’re not only using cleaning products that are up to codes and legal standards, but also that they’re environmentally friendly. And if anyone in your household needs any special considerations, let us know when you’re making the appointment. We have special products and techniques we can use for anyone with allergies, irritations, or illnesses. And when you call, let us know if there are any other modifications we can make to our services for you. Everyone wants a clean, comfortable place to come home to. But it’s often not practical to maintain such a place on your own. You’re either too busy to find the time, or too stressed to make the time. Or you may have an illness or mobility issue preventing you keeping up with all the work. Whatever the case, if you need a one-time deep clean or weekly or monthly regular cleanings, our North Bay Village housekeepers are here to help you get and stay on track. Our cleaning services are very thorough. We won’t miss any details. Carpets, baseboards, and walls–we’ll even steam clean your drapes, which are frequently overlooked. Call us today and we’ll be looking forward to helping you. Whether you’re a renter or a landlord, keeping the property clean can be extremely beneficial. Our North Bay Village housekeepers can make sure that the property isn’t costing you money, whichever side of the transaction you’re on. If you’re attempting to sell or rent a property, keeping it clean can expedite that process. The cleaner your property is, the more attractive it will be to potential tenants. And if you’re moving out of a property, our New Bay Village housekeepers can give a detailed cleaning, making sure that every part of the home is clean and saving you from fines and penalties. If you’re renting out a property vacation, our cleanings can help minimize the time in between renters. With fast, detailed cleans, you can maximize the amount of time you’re renting out your property. With industrial strength cleaning products and professional contractors, our North Bay Village cleaners can service any commercial property. Large office buildings will be as clean as every workspace needs to be. And after a renovation or construction, we can remove any debris, trash or building materials. Any floors or other surface can be deep-cleaned. No matter the size or frequency of visits, our North Bay Village cleaners can help you out. If you’re looking for North Bay Village housekeeping services, give us a call at 786-547-2958 or fill out our online request form.